EMERGENCY RESPONSE USA has given my whole family peace of mind, knowing that help is just a push button away for my ailing mother. Your caring customer service is outstanding as well. I am very happy to recommend my patients to your company; EMERGENCY RESPONSE USA has been very responsive to all of my client’s needs which are greatly appreciated by all. You have proven to be a cut above all the other alert response companies out there, and your unit is so much easier to set up. I have referred EMERGENCY RESPONSE USA to several of our hospice patients and their families who live alone. I’m confident that your safety monitoring system provides a security net to these patients as well as their loved ones. Let me begin by saying thank you to all of your capable staff at EMERGENCY RESPONSE USA. My dad age 90 was feeling ill in the middle of the night and he was alone, his aide was fast asleep in the other room and did not hear him call her. He pushed his button and told the operator he was feeling sick. Your dispatcher dispatched an ambulance immediately and stayed on the line till they arrived. When they arrived they told the aide who finally woke up, he was having a stroke. If he hadn’t pressed that button when he did, it might have caused his death. Your operator Amy stayed on the phone until help arrived, and kept him calm and alert. You have a great company and a great and caring team. I ordered your unit for my 88 year old grandmother. Before she had your unit she had fallen on the steps of her back door and it took her over an hour to crawl back inside the house for help. She now wears her EMERGENCY RESPONSE necklace and knows to push the button to get help instantly. She is now more self-reliant, and she can go outside and do her gardening. Thank you for giving her back her confidence and improving her quality of life. As a professional Health Care worker I find EMERGENCY RESPONSE USA alert system to be a valuable and necessary asset in caring for my patients. The customer service people are outstanding. I’m so glad my agency switched to EMERGENCY RESPONSE USA. I love that you can make changes to the notification list right over the phone. It’s so convenient, especially for patients who can’t get out too mail a letter. Keep up the good work. Your little button definitely saved my sisters life. She is a paraplegic who toppled out of her wheel chair while her aide was out doing an errand. Thank goodness she had the good sense to put the pendant on her when she down. Help arrived in minutes. I can’t thank the staff at EMERGENCY RESPONSE USA enough. 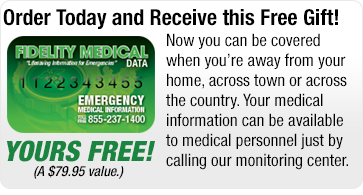 I will always refer EMERGENCY RESPONSE USA to all of our clients coming home from the hospital. It is a wonderful thing to have and it puts patients and their families at ease. Knowing help is just a click away. You firm is just great! 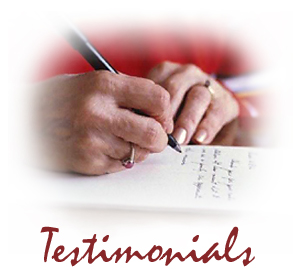 I will most definitely refer families of hospice patients your monitoring device. It’s easy to use and has proved to be an important tool in their recovery. Your customer service department is so caring and well informed as well. I will be using it for my own father as well. I will surely recommend your company when patients families are in need of their emergency response unit. It’s so easy to set up and to use and we are especially grateful for the testing mechanism. It gives our families a real peace of mind. EMERGENCY RESPONSE USA has given us complete the ability to sleep at night, knowing our parents will be safe in their home with your system to assist them. Thank you as well as your entire monitoring staff. You really do a great job putting our worried minds at ease. Our home health care aide’s and personal use EMERGENCY RESPONSE USA response device on most of our patients. We are confident that with your company on guard, help will be on the way in minutes in case of an emergency. Very caring personnel in your monitoring center as well. I will be referring all of my patients, their families, and my own family to your company. Your staff is courteous, easy to understand, and very knowledgeable with their products. As there are so many medical alert devices on the market, yours will be my first choice. Emergency Response USA is the only alert button I will ever use from now on. My dad hit his head on the sink when coming out of the shower. He had on the waterproof bracelet and he slipped onto the wet tile floor. Although the operator could not hear him clearly because the water was running and the radio was on, she quickly dispatched an ambulance and it saved my father’s life. He cut his head open on the edge on the sink cabinet and required 12 stitches and 4 days in the hospital. So on behalf of 3 grateful children and 6 grandchildren we thank you. Thank You Emergency Response USA for all your help and expertise in setting up our mother’s alert system. It’s easy to use and she doesn’t even mind wear the little pendent. We’re so happy that she can wear it outside in the backyard as well as in the pool. It gives our whole family peace of mind throughout the day knowing that you’re watching over her. I just want to send a short note to thank you for your wonderful and caring late night staff. The power in my parent’s apartment went out and we had put the unit on a separate generator just in case of an emergency, never thinking it would ever actually happen, but it did. While my mother was asleep, my father got up and went into the kitchen and because it was dark fell, he fell flat on his face onto the floor. I make both my parents sleep with their pendants and I still do. Boy am I glad I did. Dad pressed his button and the operator answered, with his mouth bleeding and a few teeth out he managed to let her know he fell, she was terrific! She calmed him down and help arrived shortly. My mother however never got up until she was checked by the EMS worker. I will be sending a gift basket to your operator and the late night staff to thank them and thank you again. Send us your questions today. Do you need a Safety Monitoring System? Does your loved one need ERUSA? Receive our newsletter direct to your inbox! When you sign up for our emails you will receive our quarterly Newsletter, money saving opportunities and important product information. We will NEVER sell your email address and you will not receive more than 1 email per month from Emergency Response USA.